Cleveland County defeated Flatt’s Victoria by 5 wickets in a drama filled day of cricket at the Sea Breeze Oval. 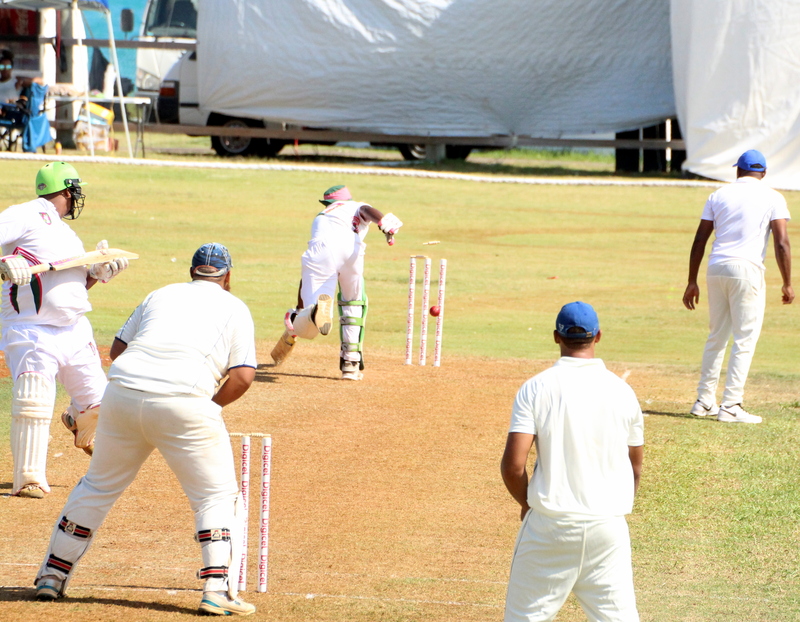 Flatt’s Victoria won the toss and elected to bat they were bowled out for 129, with Flatt’s Victoria in trouble at 29/3, when Kamau Leverock was out for 7, opener Reggie Baker went down suffering from chest pains as was taken to King Edward Hospital via ambulance and never returned to the field. Nelson Bascome was the top scorer with 42, while Makai Young was the pick of the Cleveland County bowlers with figures of 8.1-2-20-4. In reply Leverock electrified the crowd with his pace, with the wicketkeeper and slips fielding back Leverock had youngsters Jabarri Darrell and Q'shai Darrell back in the pavilion caught behind by Regino Smith, St. John’s personnel were called back into action when a Leverock delivery hit Cleveland County player/coach Curtis Jackson in the head with the player bleeding from the injury having to leave the field. Cleveland County would eventually cross the score with Dion Stovell the top scorer with 37, Leverock was the pick of the Flatt’s Victoria bowlers with figures of 11-3-36-3.